When you turn on your local news, you don't expect to be exposed to stealth right-wing propaganda. But that's exactly what one massive media corporation — Sinclair Broadcast Group — wants to make a reality all over the United States. Sinclair owns or operates nearly 200 local news stations across the country. It runs local TV stations that are affiliated with major broadcast networks, like ABC or CBS, so you may not realize that Sinclair uses these stations to push right-wing lies into your normal newscast. The company recently proposed a massive acquisition of Tribune Media stations, but the deal fell through due to potential misconduct by Sinclair. The website has been updated to reflect that the deal is no longer happening. Are you watching a Sinclair station? Use our map to find out! Map loading slowly? Click here to load the map. Sinclair is notorious for requiring all its news stations to air "must-run" segments produced by the corporate office. The most well-known of these is called Bottom Line with Boris, starring former Trump aide Boris Epshteyn. These almost-daily segments are straight-up (sometimes embarrassing) Trump propaganda. Since November 2015, Sinclair has also required its news stations to regularly air fearmongering "Terrorism Alert Desk" segments, which seem to often focus on just about anything Muslims do. Sinclair also produces a weekly news show hosted by right-wing conspiracy theorist Sharyl Attkisson. Full Measure with Sharyl Attkisson currently airs on more than 150 Sinclair stations. Circa News is a news site owned by Sinclair. Sinclair stations sometimes run reporting segments from Circa and include Circa articles on their own websites. Circa was a major player in running damage control for the Trump administration last year over potential Russian collusion. 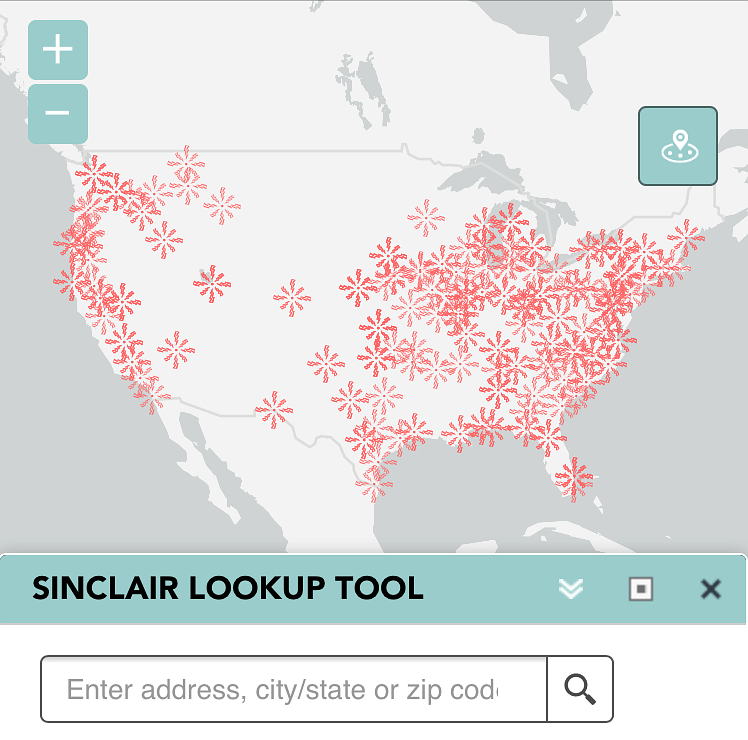 Media Matters has spotlighted communities around the country where Sinclair news dominates. Sinclair has been using its local news stations to “attack Democratic candidates or to boost Republicans," for years -- especially during election seasons. In the lead-up to the 2018 midterm elections, we’re taking a look at key races in areas served by Sinclair news stations. Do your friends and family know they're watching Sinclair? to get email updates about Sinclair and other bad actors that push right-wing lies into our news and opportunities to take action to fight back.